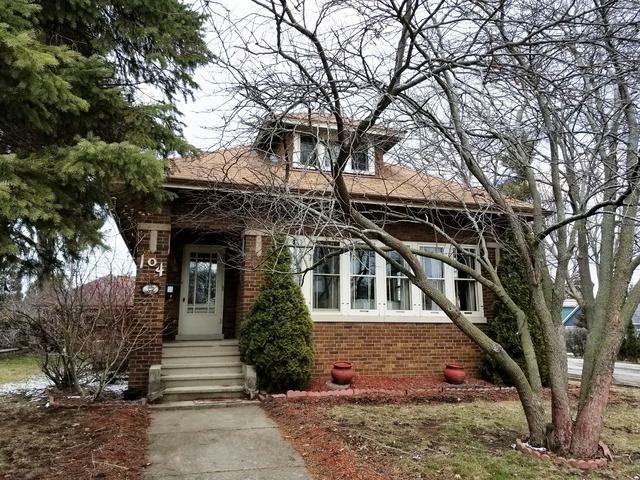 This all brick home built in 1933 is filled with vintage charm such as hardwood floors,10 ft ceilings, banks of tall mullioned windows, plaster walls, crown molding and oak two-panel doors. Amenities include a large hardwd-floored formal dining room with built-in china hutch, a spacious living room with sunlight streaming in from the wall of windows. a 21x12 master bedroom also with oak floors and its' own 8 large windows. The second floor contains a generous 17x13 family room area and a 3rd bedroom with its' attractive exposed-beam ceiling. Features of this home include a full basement, 2 car garage, enclosed porch and 1/4 acre lot. Walk to park, school and downtown shops.